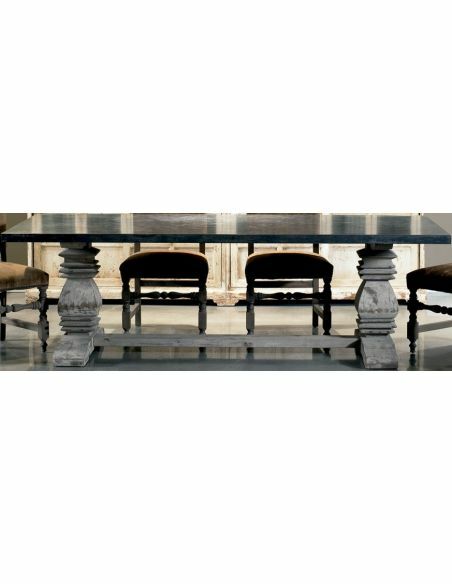 This piece of furniture is designed in such a way that it can be used as a dining table or a centre table both. 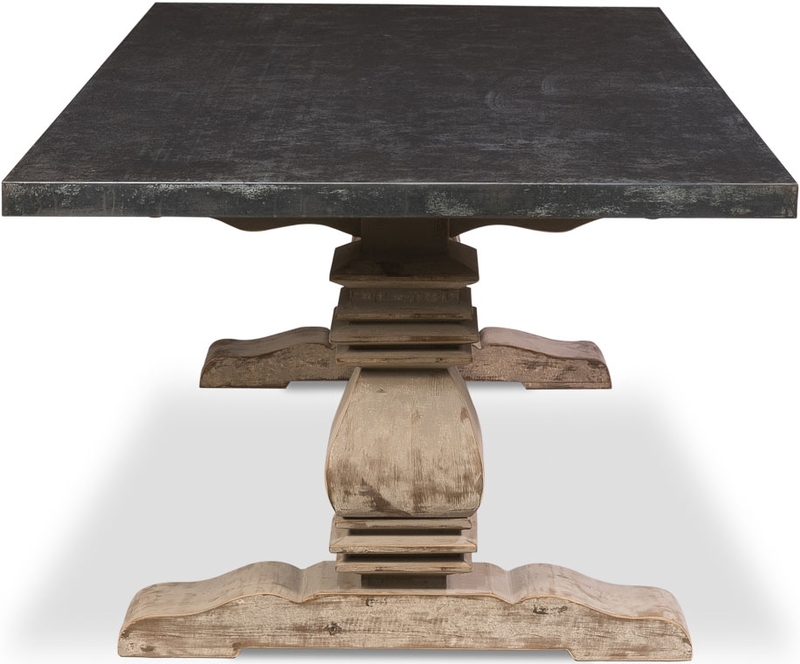 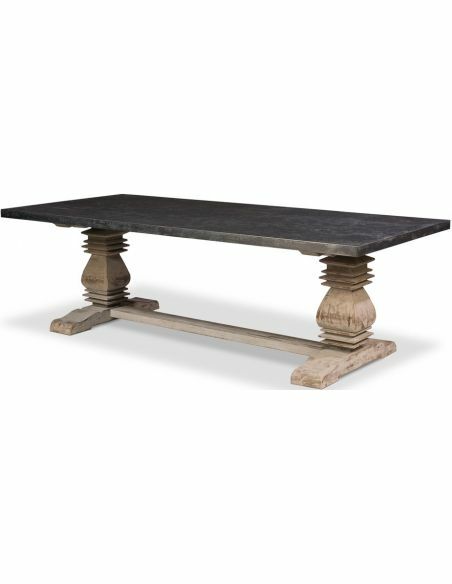 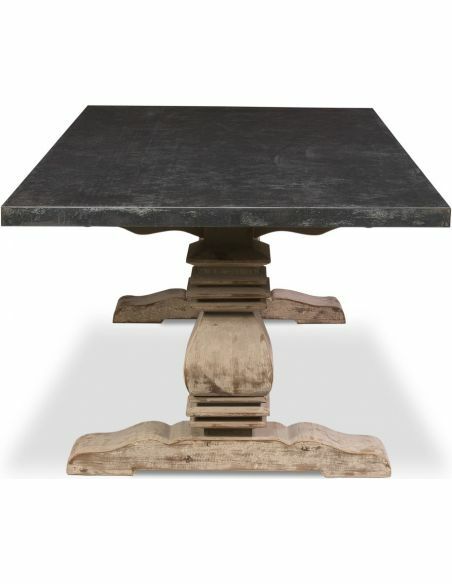 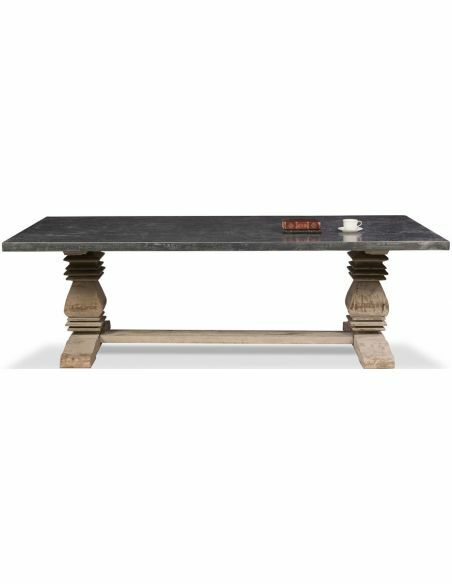 The base of this table is composed of dark stain strong pine wood with two ornate legs. 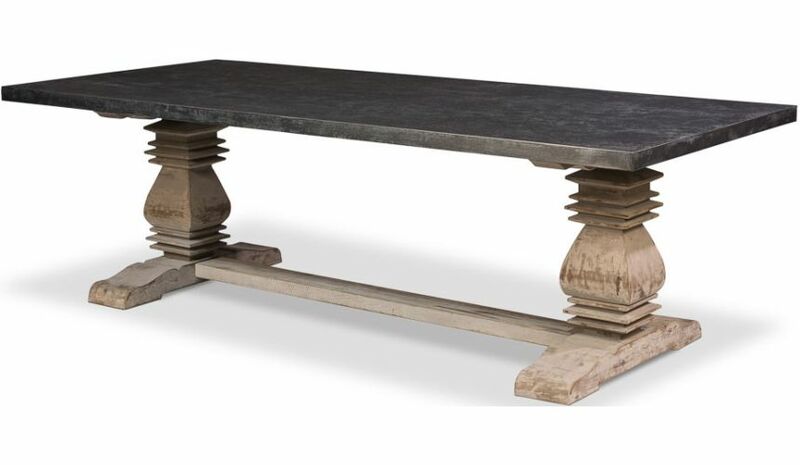 The zinc metal table top goes extremely well with the wooden base.